I am a Professional U23 Triathlete racing across the globe chasing my dreams and aiming high. I am a regular on the Continental Cup scene trying to gain as many world ranking pints as I can over the sprint or standard distance. At the same time I am working as a sales associate in one of the biggest eyewear companies in the world. I am looking forward to the challenges that lie ahead of me and hope to be able to gain some strong results this year which will help me towards my goal of becoming a full time professional athlete. So thats a bit about me. Now let's start the grafting. 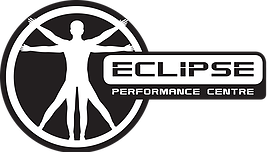 Stu and Bon and the rest of the team at Eclipse Performance Centre is where I train and is who coaches me to become the athlete I aspire to be. Since arriving here in Australia late 2017 they took me in and within a week it felt like it was somewhere I belonged. Towards the end of 2018 the transformation I've made is incredible and I have progressed massively thanks to Eclipse and the other athletes that are part of the squad. I look forward to spending many more years training with them. Here are a few pictures of what I have recently been up to outside of triathlons.